Growing up between Maryland and Florida, Natalie Keller Reinert has spent much of her life in the saddle. From galloping racehorses at Aqueduct, to grooming for international-level Event riders in Ocala, to riding on mounted patrol in New York City, if it involves horses, Reinert’s probably given it a try. In 2011 she released THE HEAD AND NOT THE HEART, which became the first of four novels in the Alex and Alexander series. She’s also written novels set in eventing (AMBITION) and horse showing (SHOW BARN BLUES). Reinert is a two-time semi-finalist for the Dr. Tony Ryan Book Award, for literature about the horse racing industry. She’s also a veteran freelance writer with credits including Cheer Biz News and Dappled Grey, where she contributed a literary column. Are you representing a charitable organization? Please reach out at the above email with questions regarding book donations, book-signings, and other engagements. Will there be a sequel to “Show Barn Blues?” I’m a native Floridian, intensely dislike developers, used to ride my horse on Ponte Vedra Beach and in the area where Sawgrass is now before the developers wrecked it. I have loved horses all my life and really relate to Grace. She lives the life of my dreams. Thank you for writing such a delightful book and I hope there will be another. Grace needs to catch the bad guys, trail ride with Snowbirds and let us know what happened to her first pony! Hi Mitzi! Thanks so much for the comment! I know the Sawgrass area, too. It’s hard to watch Florida get plowed under this way. That’s why I hope there’s another story about Grace in the future. It seems we need to speak up about our natural resources now, more than ever. Some people never learn. You can also find more Grace in Pride, Book 2 of The Eventing Series! Hi There! I just finished reading all three books in the Eventing Series, and I loved them all! I was just wondering if there was ever going to be another book in that series, and if so, do you know when this will happen?! Thank you for giving your readers great books to interest them! Thanks for visiting! I write award-nominated contemporary fiction for equestrians. Horse racing, showing, and daily equestrian life are my inspirations. 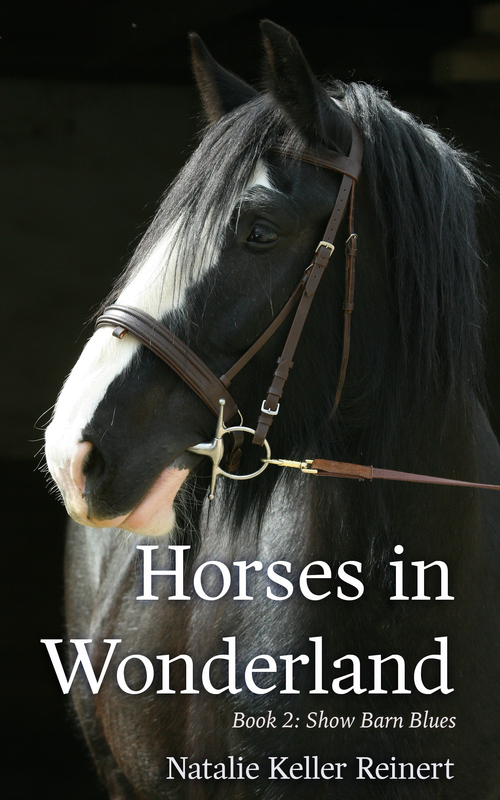 Horseback Reads: All Horse Books, All The Time – Discover New Authors! Retired Racehorse Blog My original blog, full of stories, reviews, and riding tips.